"Lauren was an EXCELLENT presenter. She shows good product knowledge and is extremely competent in her presentation style. Thank you Lauren"
To enable students to create full 3D architectural project models and set them up in working drawings. The course focuses on basic tools that the majority of students need to work with within the Autodesk Revit Architecture software. 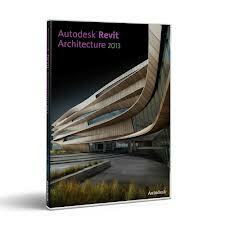 This hands-on courseware covers many of the advanced features of AutoCAD ® Revit Architecture . Students learn how to customize walls, elevations, and sections, create massing studies and space studies, create object styles for wall, windows, doors, spaces, curtain walls, and several annotation objects, create custom content, setup project standards and customize layers and the display system. This courseware is intended primarily for architects, CAD Managers, and other advanced students who need to work with advanced design tools, create massing studies or space studies, or to customize styles and settings in the AutoCAD Architecture environment. When you attend our Autodesk Revit course, all delegates receive course materials, a certificate on completion and 3 months support from our certified instructors.